From using it in your hair as a dry shampoo to trying it as a nail cleaner or adopting it as a product to fight acne on the skin, baking soda has long been regarded as one of the ultimate beauty hacks. 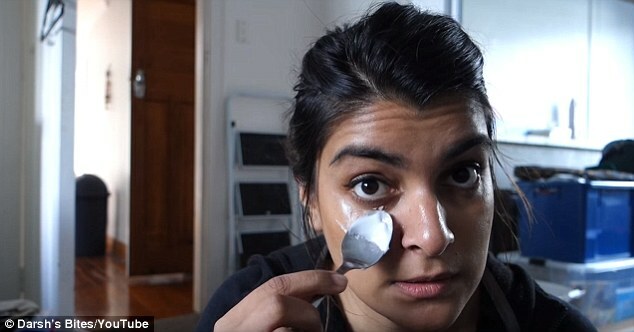 But what not so many people know is that the household item is also brilliant at removing or lessening under eye circles, as this beauty blogger, Darshika Patel, from New Zealand shows. 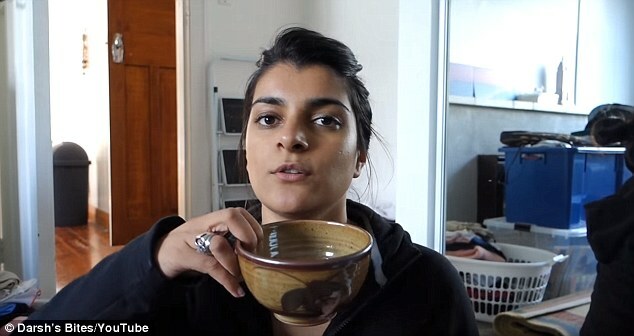 According to Ms Patel’s YouTube page, Darsh’s Bites, a simple solution of baking soda and water mixed together will stop people’s comments as to how tired you are, as well as increase your confidence when it comes to your bags or dark circles. 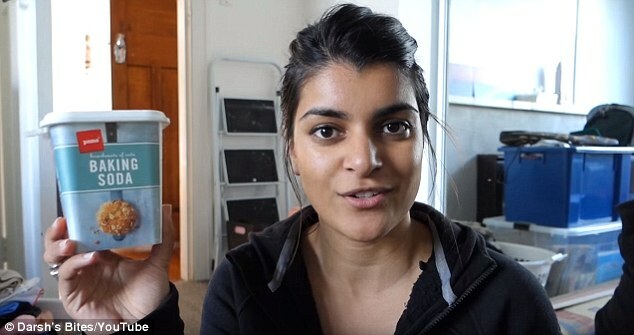 This beauty blogger from New Zealand, Darshika Patel, shows how a simple mixture of baking soda and water can help to lessen your dark circles. Best of all, the entire process takes just FIVE minutes. 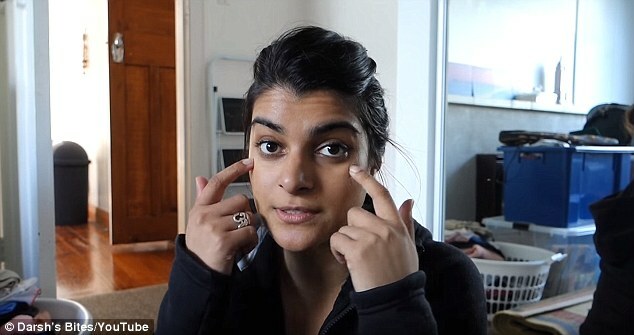 In her four-minute video, Darsh shows that you can improve the skin underneath your eyes, and that you don’t necessarily need expensive eye creams and pricey moisturizers. 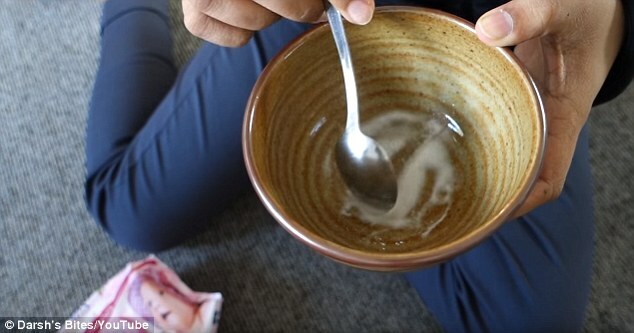 Instead, the blogger purports that you should simply mix a couple of drops of water with a small teaspoon of baking soda. Only use so much that your paste has the consistency of ‘sugar syrup’ – before applying it to the skin underneath your eyes, either with your finger or a cold spoon. She advises that while you should avoid the delicate skin directly underneath your eyes when applying the baking soda, you should also make sure that you cover the entire under-eye area, from the inside of the eye right the way across your cheekbones to the outside. 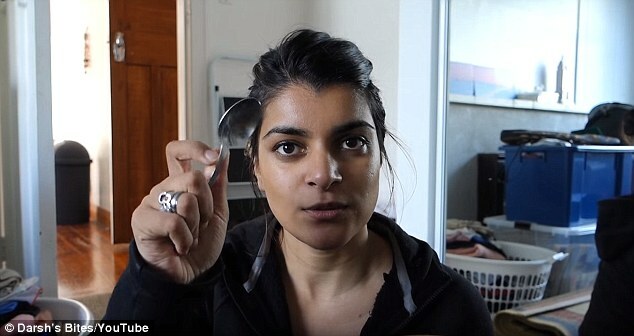 Then, according to Ms Patel, you need to wait for the paste to dry, which should take somewhere between five and ten minutes, before coming back with a wet face cloth or face wipe to remove the mixture. ‘Without rubbing it, we’re just going to wipe it off,’ she says in the video. 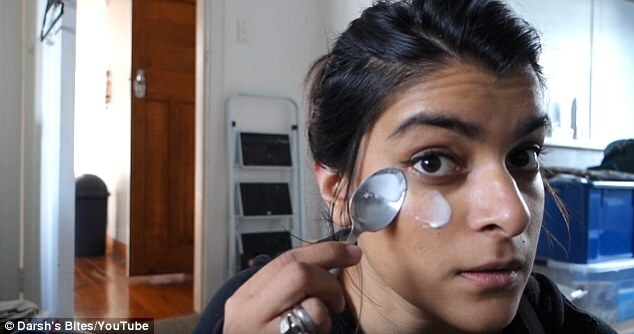 While she says that once you’ve removed your baking soda your eyes might feel a little tight, Ms Patel adds that this is a good thing as you are tightening the skin around the eyes and lessening your dark circles. The result should mean that your dark eye circles are vastly lessened and your skin is clear.